Convulsions, tremors, spasms, tetany, stroke with facial paralysis and drooling, stroke with hemoplegia, numbness and slurred speech, rising liver yang with headache, vertigo or dizziness, bi zheng from wind damp are some of the imbalances satisfied clients have used this product for. Gastrodia extinguishes Liver wind and fire while dispelling phlegm without drying yin fluids. 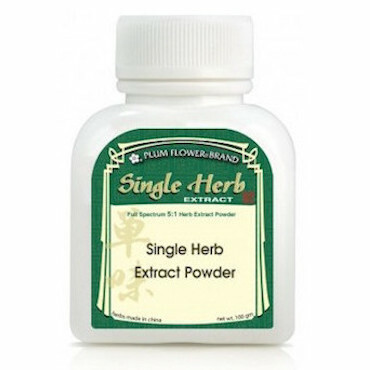 Can be used for both excess and deficiency imbalances. Liver wind with underlying deficiency can present as convulsions, epilepsy, high fever, infantile and childhood seizures, ophistgotons (severe hyperextension and spasticity), spasms, tremors and tetany. Gastrodia is useful for arthritis pain, decreased agility, joint pain and numbness of muscles and limbs. Tian Ma is relatively non-toxic with few side effects reported using as little as 2 grams in decoction. These side effects include rash, eczema and hair loss. May cause drowsiness or sedation. Individuals using Tian Ma should exercise caution when driving or operating heavy machinery.